According to Deloitte’s Global Manufacturing Competitiveness Index, India is currently the fourth most competitive manufacturing destination worldwide and is forecast to become second only to China by 2018. Although India’s appeal as a manufacturing and sourcing jurisdiction comes primarily from its labor cost advantage, the country’s poor infrastructure and complex regulatory environment have hindered manufacturing sector growth in recent years. With Narendra Modi’s BJP now in control of the country’s first majority government in three decades, India will soon be poised to undermine China’s manufacturing edge through the introduction of policy and labor reforms, investment incentives, and improvements to the country’s outdated transportation and power supply networks. Infrastructure and regulatory obstacles aside, India features nearly all of the key ingredients necessary to transform its economy into a manufacturing juggernaut: a demographic dividend, attractive domestic market, comparative advantage in shipping and labor costs, an inexpensive currency relative to the dollar, and low political risk. As the BJP mulls an overhaul of India’s antiquated labor laws and the introduction of China-style manufacturing incentives to the country’s FY2015 budget, India’s competitiveness as a manufacturing and sourcing jurisdiction is set to increase substantially in the near to medium-term. India has the highest consumer confidence in the world, according to the global Consumer Confidence Index, created by research firm Nielsen. The survey covers 60 countries and takes into account attitudes and opinions regarding job prospects, personal finances and spending intentions. Any score above a base of 100 is considered positive, while any score below 100 is negative. India scored the highest at 128, with several other Southeast Asian nations also ranking high on consumer confidence, including Indonesia (123) and the Philippines (120). China (111), Hong Kong (103) and Thailand (105) are positive as well, but consumers in Singapore (98), Vietnam (98) and Malaysia (93) are less assured. Japan (73) and especially South Korea (53) are currently quite pessimistic. Asia stands to reap large economic rewards with investment into smart-climate practices, according to the World Bank and the ClimateWorks Foundation. In a new report, “Climate-Smart Development: Adding Up the Benefits of Actions that Help Build Prosperity, End Poverty and Combat Climate Change,” analysts assessed the potential economic, environmental and health impacts of three government policies across six world regions. Upon the completion of Indian Vice-President Mohammad Hamid Ansari’s five-day visit to China, the two countries signed three Memorandums of Understanding (MoUs) yesterday. The MoUs include mutual agreements on the development of joint industrial parks, sharing of hydrological data for the Brahmaputra River, as well as exchanges of their respective administrative academies. The first MoU is designed to set up incentives and frameworks to attract foreign direct investment from China to Indian industrial parks and zones. The MoU states that an Industrial Park Cooperation Working Group, consisting of an equal number of Chinese and Indian members, will work toward finalizing details and consolidating mutual cooperation in promoting India’s industrial parks. DELHI – Following an election campaign which was largely absent of foreign policy, Modi has surprised many by spending his first few weeks in office focusing on India’s foreign relations, a decision which is being driven by the need to fix India’s economic problems. With their landslide victory last month, the Bharatiya Janata Party (BJP) inherited an economy struggling from high inflation, a falling rupee and a drop in both industrial production and foreign investment. The election of Modi, a relative hardliner who has the reputation of being business-friendly and decisive, was a clear message from voters to fix the sputtering Indian economy. Chinese Foreign Minister Wang Yi has said that China is prepared to reach a final settlement with India on the issue of border disputes and investment if India is open to increasing bilateral trade and relaxing foreign direct investment regulations. “Through years of negotiation, we have come to an agreement on the basics of a boundary agreement, and we are prepared to reach a final settlement,” Wang said. Chinese foreign minister Wang Yi has met with leading Indian officials to discuss ways to improve bilateral relations and strengthen cooperation in key areas including trade and investment. 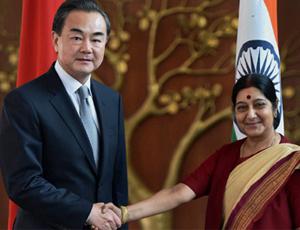 Wang Yi first met with Sushma Swaraj, the Indian Minister of external affairs, for a meeting which lasted more than three hours on Sunday, marking the first high-level meeting between India and China since Modi assumed office last month. Both Wang and Swaraj were accompanied by delegations made up of senior officials from their respective countries. During discussions on economic engagement between the two countries, Wang and Swaraj agreed to deepen business and trade relations. They discussed the possibility of investment by Chinese companies in several different industries, as well as the possibility of investment through industrial parks. But problems could flash up and some countries have longer term issues. With China becoming embroiled in increasing numbers of regional tensions, the operational risks for foreign investors in a number of these countries should be assessed. Recent riots in Vietnam for example, while going completely unreported in China, have hit the headlines in the West, while Hong Kong Shippers’ Council chairman Willy Lin Sun-mo has said that Hong Kong manufacturers based in the Pearl River Delta are running out of alternative, low-cost factory locations elsewhere. The issue, especially as many foreign manufacturers are looking at nearby low-cost manufacturing locations, is key to businesses faced with rising China labour costs. The Chinese middle class consumer market is expected to increase by 350 million people over the next seven years, and that additional manufacturing capacity to service them is increasingly being placed elsewhere. This is especially true in light of the China-ASEAN Free Trade Agreement, which impacts upon many countries, including Vietnam, reducing customs tariffs on thousands of products to zero. 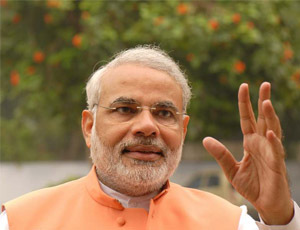 New Indian Prime Minister Narendra Modi, whose BJP party has won an outright majority in the Indian Parliament, may yet prove to be the right man in the right place to secure India’s development and provide the platform that the country’s demographics suggest could spark a growth cycle not dissimilar to that of China’s over the past thirty years. Over this period, Indian politics has been run on the basis of a series of on-going coalition governments, with voters in the world’s largest democracy unable to provide any political party with an absolute mandate to rule. That has led to successive governments, led by the now-trounced Congress Party, needing to partner up with smaller political parties in order to generate an operational government. That has meant plenty of horse trading, and to be fair to Congress, the regrettable watering down of many otherwise worthy reforms as vested interests within other parties interfered with the bigger picture. It is no coincidence that as India has suffered through three decades of government with one hand tied, China has powered ahead with forthright decision making, which has been the envy of Congress politicians. India’s perpetual coalitions have undoubtedly harmed the development of India, and this has been especially apparent given the rise of China.